The new DOJ Opinion on the Federal Wire Act has caused a stir in the domestic gaming industry. New Hampshire challenged the Justice Department’s new opinion memo on the Wire Act citing its disruptive nature to their lottery vendors, multi-state associated lotteries, and their recently legalized online lottery operations. Other states attempted to enter the lawsuit as friends of the court. Pennsylvania was recently rejected from becoming a co-plaintiff in the case but was allowed to submit evidence and oral arguments during the upcoming case’s oral hearings. The Federal government, however, has stepped in to dismiss New Hampshire’s lottery suit filed in February of 2019 against the new DOJ opinion, stating that neither new opinion nor the Wire Act itself directly targets lotteries. The Justice Department quickly moved on this opportunity to state that the Federal Wire Act does not address state lotteries or their vendors, but will investigate further and if they are affected the DOJ would extend its compliance period another 90 days to “allow state lotteries and their vendors a reasonable time to confirm their operations to federal law”, wrote US Deputy Attorney General Rod Rosenstein. US Attorney Steven Myers urged the judge in the NH lottery case via a 32-page brief to dismiss the suit due to no legal standing, “because Plaintiffs do not have a current credible fear of prosecution, Plaintiffs lack standing to challenge the DOJ’s interpretation of the Wire Act…[thus] Any challenge is premature”. In September of 2018, New Hampshire legalized online lottery ticket sales and became the 6th US state to do so. Therefore, their concerns regarding the broad language of the new opinion which requires a completely intrastate gaming environment for hosting, sales, information, and data storage are valid likely because they lack the technology and capabilities to manage the entire system locally within the state. States who have expanded to online gambling forms often partner with experienced companies and vendors more often than not located outside of their state or even the United States. 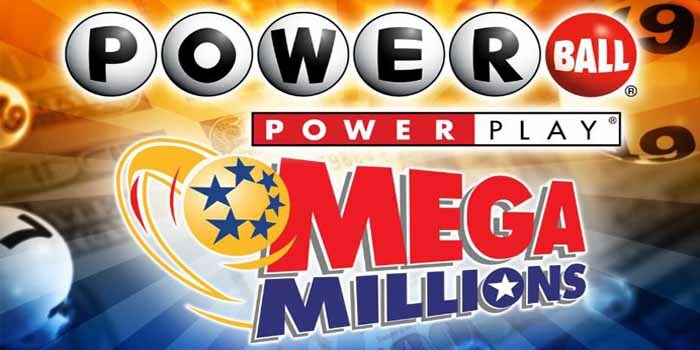 The new opinion would greatly affect national lotteries like the Powerball and Mega Millions, and several states using online gambling operators whose data or payment processing information is routed out of state like most online traffic. It is likely the DOJ is trying to correct themselves and remove lotteries from the scope of the Wire Act to further their position against fighting online gambling expansion in the form of smaller commercial operators while avoiding any hassle with states that have strong financial ties to lotteries. Some critics even insinuate that the memo’s intention was to target online gambling due to strong ties within the Trump administration to Sheldon Adelson, founder of Sands Las Vegas, and the Coalition To Stop Internet Gambling, and mind behind RAWA. Many individuals and sources claim that the new opinion is a near copy of a bill presented by Adelson’s lobbyists which would explain the rushed tactics and sloppy execution of the new memo. However, if the DOJ were to rule lotteries as included under the Wire Act, they would face New Hampshire and potentially a number of other states in a federal suit which would likely freeze all domestic online gambling operations and any brick and mortar operations that use out of state data processing or systems. In which case, we suggest US players who are at least 18 or over can play at online casinos with full-service gaming capabilities and lotteries.